Harley- Davidson is the “boss” of all motorcycles. The name in itself is synonymous to quality and style. The motor cycles are big, sturdy and aggressive in appearance. When on road it looks like “the king is on the move”. The unique design and the configuration symbolize adventure and wilderness. William S.Harley and Arthur and Walter Davidson founded Harley-Davidson in 1903. The company produces cruiser motorcycles. The most popular models of Harley- Davidson include – Sportster, Road King, Electra, Glide, Dyna Glide, VRSC, Touring and Softail. Harley- Davidson Motor Company produces heavyweight motorcycles and offers a complete line of motorcycle parts, accessories, apparel and general merchandise. The Harley- Davidson bikes are usually meant for sports biking. Powered with V-Twin engines the engine power starts from 750 cc. The chopper bikes are ideal for fast rides on the highway. India is the world’s second largest market for bikes and Harley- Davidson is eyeing the Indian middle class segment for its powerful machines. Motorcycles from each of Harley – Davidson’s five model families would be introduced in India to ensure maximum choice to the Indian market. The sound of Twin Cam 96 would soon be heard on Indian streets. The company is offering 12 models from its 2010 line up. Bookings for the bike have opened from 20 April and deliveries will begin by June. The cities covered under the dealerships are Delhi, Mumbai, Bangalore, Chandigarh and Hyderabad. The motorcycles will be priced between Rs.6.95 lakh and Rs.34.95 Lakh (ex-showroom New Delhi). XL 1200N NIGHTSTER – Rs. 9,95,000. XL 883R ROADSTER – Rs.7,50,000. FXDB STREET BOB – Rs.13,95,000. FXDC SUPER GLIDE CUSTOM – Rs. 15,45,000. VRSCDX NIGHT ROD SPECIAL – Rs.18,95,000. 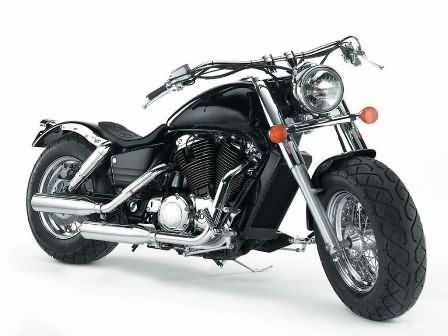 FLSTF FAT BOY – Rs.18,45,000. FLSTC HERITAGE SOFTAIL CLASSIC – Rs.19,45,000. FLHR ROAD KING – Rs.20,45,000. FLHX STREET GLIDE – Rs.21,95,000. FLHTCUSE ULTRA CLASSIC ELECTRA GLIDE (CVO) – Rs.34,95,000. outstanding performens in india. . .so keep it . . .